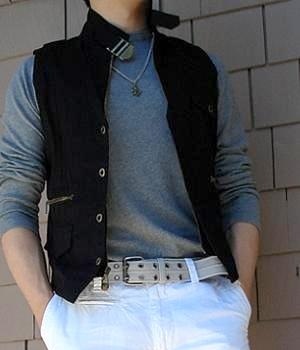 Guide on Wearing Collared Clothes!Collared clothes usually include collared shirts, collared polo shirts, collared jackets. Find out how to wear these collared items correctly! About Men's Fashion For LessFind out how Men's Fashion For Less got started. I used to be a sloppy dresser and now I dress fashionably under a budget. You can do the same too! How do You Match Gray T-Shirts Stylishly?Men's Gray T-Shirts are one of the most Versatile Clothes. Discover Great Ways to Wear Gray T-Shirts Stylishly! 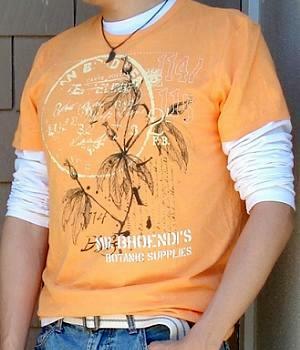 How do You Wear An Orange T-shirt?Discover Great Ways to Wear Men's Orange T-shirts with the Latest Trends! Orange Tees Go Well with Blue, Green, White, Black! Learn how to Wear Short Sleeve T-shirts Fashionably!Short Sleeve T-shirts are the MOST Common Clothes for Guys! 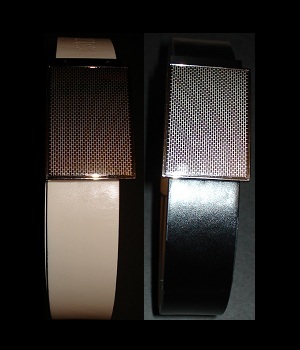 They Come in Various Colors and Styles. 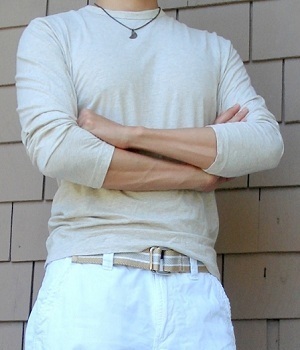 Learn how to Wear Short Sleeve Tees with Impeccable Taste! 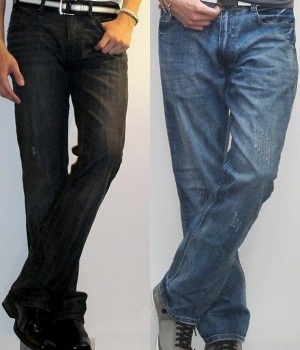 Regular Bootcut Versus Low Rise Bootcut JeansFind out how Low Rise Bootcut Jeans compare to the Regular Bootcut Jeans and see which is Better! What are the COOLEST ways to wear a GRAY jacket?A Gray Jacket is yet another one of men's most effective fashion statements. 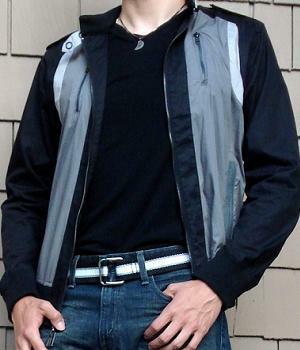 Learn how to wear gray jackets fashionably! Correct Ways to Wear a Dress Shirt!A dress shirt is a must in a man's wardrobe. Correctly identify a dress shirt. Discover great ways to wear a dress shirt to look sharp and smart! 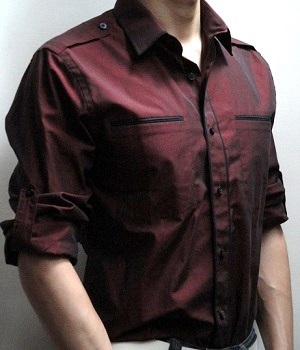 Mens shirt trends for summer 2013In 2013, men's shirts are taking inspiration from vintage and tribal fare. The core orange and indigo hues of the season place focus on varying opacities! How do You Wear T-shirts Fashionably?Discover Ways to Wear Men's T-shirts in a Stylish Fashion! T-shirts are one of the most versatile men's clothes and you NEED to master matching them to your outfits! 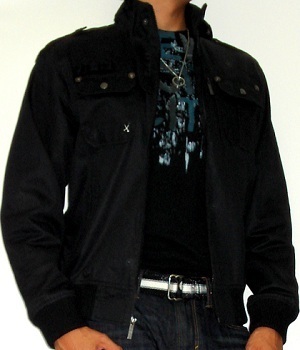 Fashionable Ways to Wear Black Jackets!Black jackets are one of the coolest men's clothes. Discover how to wear black jackets fashionably! How Do You Pick a Nice Shirt?Do You Know How to Pick a Nice Men's Shirt? One of the Three Rules is the Collar Needs to Naturally Stand Up. Read this Article to Find out How to Select a Quality Men's Shirt! What's Special about Banana Republic Sweaters?Banana Republic Sweaters are of high quality and decent style. Find out how you can show off your impeccable style with Banana Republic Sweaters! 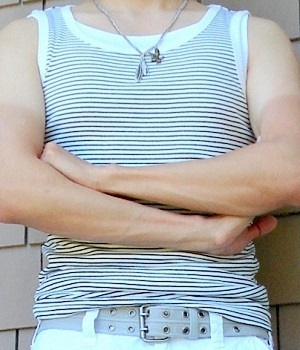 4 tips for Men to Wear a Tank TopIt's not the summer until you can wear that first tank top. It's so nice to walk outside without a coat and actually feel you made the right decision to shed a few layers. I like Banana Republic Jackets!Banana Republic Jackets are of High Quality and Elegant Design. 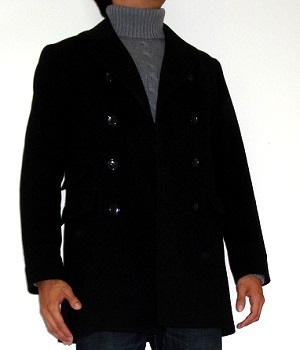 My Favorite is this Black Wool Pea Coat. Learn Why I Like Banana Republic Jackets so much! Roll Up Your Sleeves for a Sharper Look!If you are wearing a long sleeve shirt, jacket, t-shirt, or sweater you can roll up its sleeves for a sharper look. 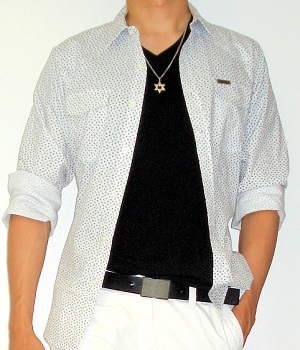 With a button down shirt you can leave the top button open for a cooler appearance! How Do You Wear Graphic T-Shirts Fashionably?Men's Graphic T-shirts Look Great with Many Different Clothes. Discover how to Pair Graphic Tees! 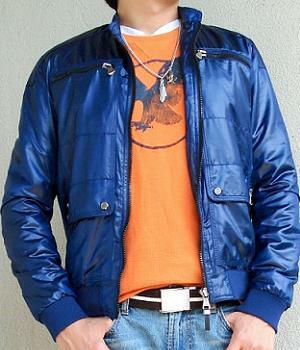 How Would You Wear A Blue Jacket?Discover Great Ways to Wear Men's Blue Jackets with the Latest Style! 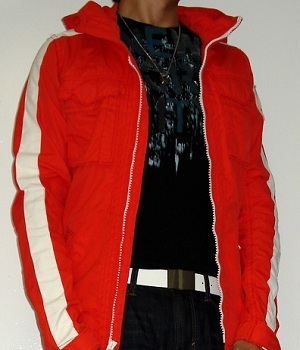 A Blue Jacket Goes Well with Red, Orange, White, Black! 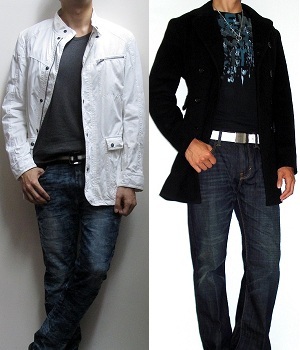 How Do You Find Discount High Quality Men's Clothes?Discover how to Find Discount but High Quality Men's Clothes! They are Easier to Find than You May Think! A Simple Way to Make a Stylish Outfit!Putting on a Fashionable Outfit is Easy. Learn How to Get the Proportion and Contrast of Colors Right to Impress Your Friends! What is so Great about Banana Republic T-shirts?Banana Republic T-shirts are One of My Favorites. 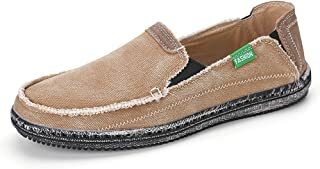 They are Soft and Comfortable. Learn How to Wear Banana Republic T-shirts with Taste! Learn how to Wear Yellow T-shirts!Yellow T-shirts Go Well with Purple according to the Color Wheel! Trends in Men's Eyewear 2013Men's eyewear is like second skin. Your eyes need protection and the only way to look in style while protecting your eyes is by getting a pair. Men's Fashion For Less will share with you the trends in men's eyewear in 2013! 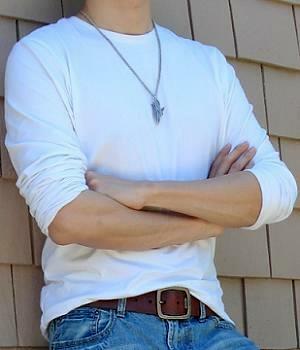 How Do You Wear Beige T-shirts?Men's Beige T-shirts Look Great with Brown T-shirt, White Vest, and Gray Jeans! Learn How to Wear Beige Tees with Style! 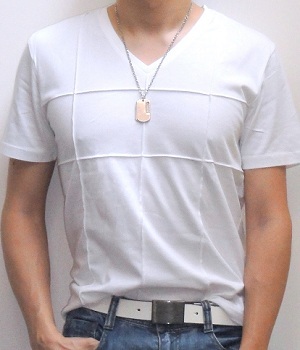 How Do You Wear White T-Shirts Stylishly?Men's white T-shirts match almost anything. Learn how to wear white T-shirts effectively! Pink T-shirts Look Incredible!Men's Pink T-shirts Match Blue or Gray. Pink Tees also Look Great with Black T-shirt, White T-shirt, Black Vest. Learn How to Wear Pink T-shirts Tastefully! How Do You Wear Green Jackets Tastefully?Discover how to Wear Green Jackets with Taste and Style. 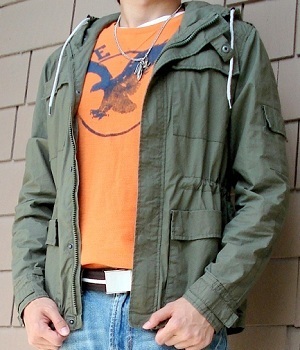 View Examples of Attractive Outfits with Green Jackets! How Do You Pair Long Sleeve T-shirts?Discover stylish ways to pair long sleeve T-shirts to impress your peers! 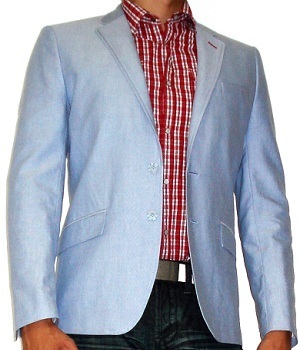 How Do You Wear Jackets Stylishly?Jackets are one of the most versatile men's clothes. 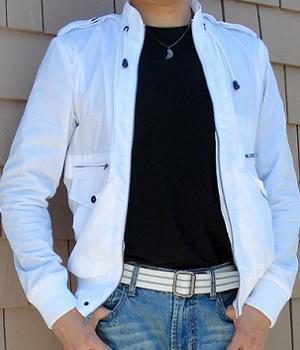 Learn how to look great in jackets! How to Look Good with a Bright Colored TopThe recent influx of bright colors and neon into male clothing designs has meant that the most fashionable choices are becoming very brave. 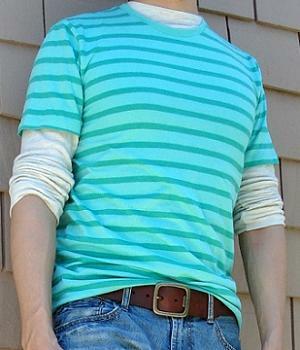 Men's Fashion For Less will share with you how to look good with a bright colored top! How Do You Wear a Blue T-shirt Fashionably?Blue T-shirts Look Great with White, Black, Blue, Gray, Orange. Learn how to Wear Blue Tees in Style! One Stylish Item in Your Outfit is Enough!Do You Need Every Item on You to be Stylish and Complex in order for Your Outfit to be Stylish? Not At All. 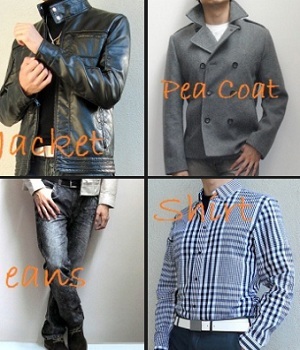 Read this Article for Great Tips on Balancing the Styles of Clothes You are Wearing! How Do You Wear a Half Button T-shirt?Half Button T-shirts are Great for Layering and Casual Occasions! Find out how to Wear Half Button Tees Fashionably! Mens Accessories on a BudgetIf you are interested in buying some trendy and fashionable men's accessories for your wardrobe but are concerned about going into debt, try these methods for finding items that you can comfortably afford! Autumn - Winter 2012 Style GuideFind out what menswear style is in for Autumn - Winter 2012. Inky blue black is the color of the season for men in the know. Playing with layering is a key trend for the coming season! How Would You Wear A Green T-shirt?Discover Great Ways to Wear Men's Green T-shirts with the Latest Trends! Green Tees Go Well with Red, Black, White, and other shades of Green! How Do You Wear Black T-Shirts Stylishly?Black T-Shirts Look Great with Dark Blue Jeans. Learn how to Wear Black T-Shirts Fashionably! 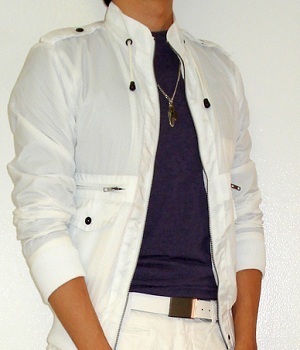 What are the COOLEST ways to wear a white jacket?White jackets are one of the most versatile men's clothes. 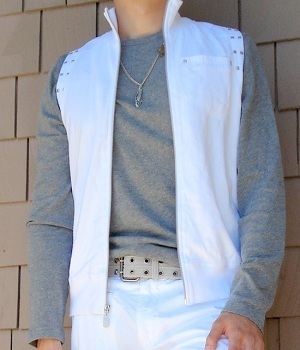 Find out STYLISH ways to wear a white jacket! How Do You Wear a Purple T-shirt?Find out how to wear a purple t-shirt stylishly! 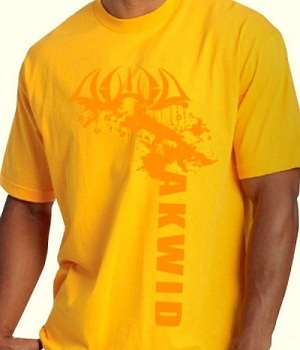 Purple t-shirts Look Great with White, Blue, Gray, Orange, and Yellow! Tuck in or Tuck out your Shirt or T-shirt?A man's shirt or t-shirt can be tucked in or tucked out. Which way is better for which occasions? 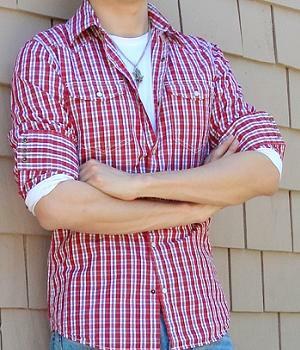 Read this article for GREAT tips on whether you should tuck in or tuck out your shirt or t-shirt! Mens style trends for summer 2013The creativity and ostentation that has begun to influence men's wear tends to produce trends that are too over the top for the general closet and this element came through in collections designed for 2013! 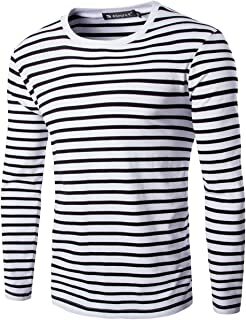 Long Sleeve T-Shirt Versus SweatshirtFind out how a Long Sleeve T-Shirt is Different from a Sweatshirt and See Examples of Both! How Do You Pick Stylish Jeans? 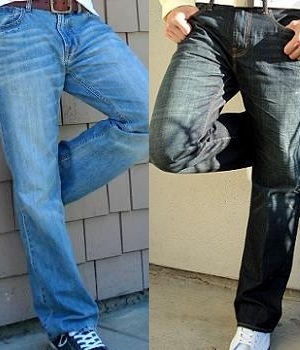 Bootcut or Straight?Find out how you pick stylish jeans. Bootcut or straight leg? Well fitting or loose fitting? Black or Blue? 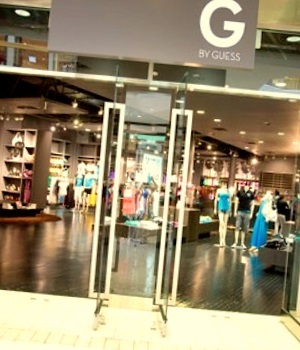 Become an Expert in shopping Fashionable Jeans! 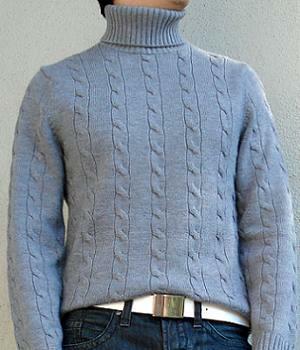 Fashion Guide on Wearing Sweaters!Men's sweaters are a MUST have. 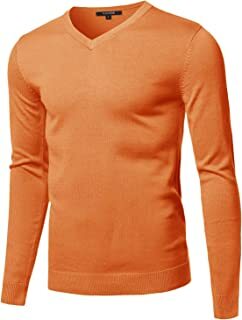 Sweaters come in various forms including sweater vests, turtleneck sweaters, v-neck sweaters, crew neck sweaters. Be an expert on wearing men's sweaters! 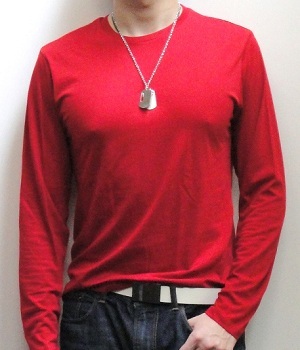 Great Ways to Wear Red T-shirtsMen's Red T-shirts are Great with White, Blue, Black, Green. Layering a Red T-shirt under a Blue T-shirt Looks Great. Discover How to Wear Red Tees in Style! 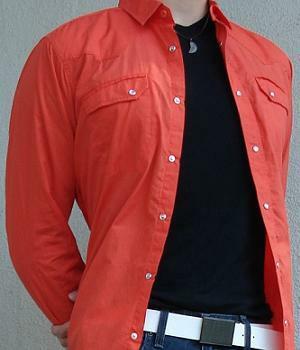 Great Ways of Wearing Orange Jackets!Men's Orange Jackets Go Well with Blue, Black, White, Gray T-shirts. Learn How to Make Orange Jackets Part of A Fashionable Outfit! 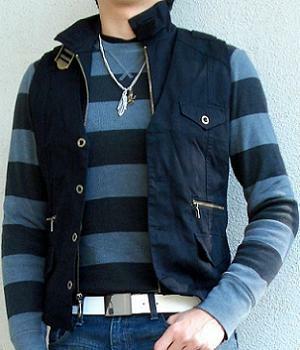 Great Ways to Wear a Cardigan!Find out how to wear a men's cardigan fashionably. 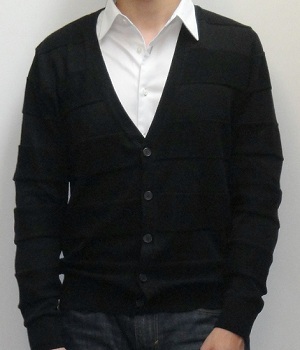 A cardigan goes well with a shirt or a T-shirt. Become an expert in pairing a cardigan! Fashionable Ways to Wear Shoes!Shoes are a Must Whenever You Go Out. 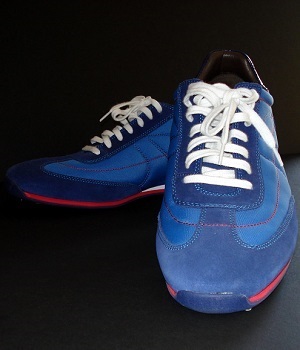 Learn how to Make Shoes Part of a Fashionable Outfit for every Occasion! Wearing Hoodies Fashionably!A men's hoodie comes in many forms including hoodie jacket, hooded vest, hooded shirt, hoodie T-shirt. Pick up tips on how to pair a hoodie tastefully!